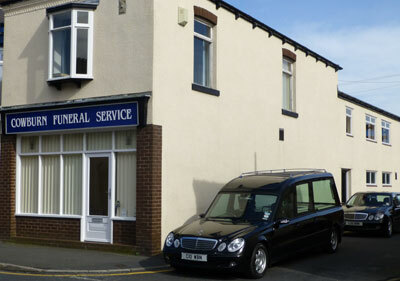 Cowburn Funeral Service is an independent, family owned business based in Westhoughton, between Bolton and Wigan. The business was started in 1905 and with over 100 years experience of arranging funerals in the Westhoughton area our knowledge of the churches, cemeteries and crematoriums servicing the local community is unrivalled. Our well appointed funeral home, in the heart of Westhoughton, has a comfortable interview room where arrangements can be made and private rest rooms for the deceased.